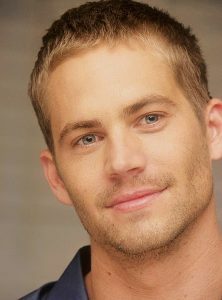 News of the death of Paul Walker, the renowned actor who portrayed the role of Brian O’Conner on the Fast & Furious movies, devastated not just his family but also the entire world. Reports said that he was riding with his racecar driver friend, Roger Rodas, after attending a charity event to help the victims of Typhoon Haiyan in the Philippines. Furthermore, it was said that Paul Walker may have initially survived the crash but died because of the impact’s injuries and the fire thereafter. Roger Rodas, on the other hand, suffered multiple traumatic injuries at the driver’s seat of the Porsche Carrera GT. It still is not clear whether Rodas was still alive before the car burst into flames. The actor’s family was grief-stricken by his sudden death. Paul Walker Sr., his father, only had good words to say about his son. He expressed his desolation and grief over his loss. He was, nonetheless, thankful for the support his family was given during this tumultuous time. Catch the video footage and interview of Paul Walker Sr. and find out how his family is still coping with the actor’s death here.